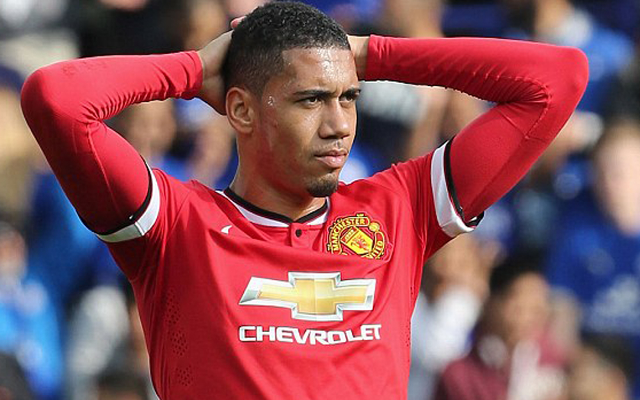 Manchester United defender Chris Smalling has called on his teammates to respond in a positive manner following their 3-0 defeat against Everton at Goodison Park on Sunday. It is now back-to-back defeats for the Red Devils following a 1-0 reverse against Chelsea prior to the game against the Toffees meaning their qualification for the Champions league is not as certain as it seemed when they were on a six-game winning streak. “We were second best. This is a massive wake-up call for us.” The England international told the club’s official website. “We haven’t been the second-best team in games this season, even when we’ve lost, we’ve always had that aggression and those tackles but today we were far from it. The poor result on Merseyside has left the door open for the likes of Liverpool and Tottenham in the race for a top-four finish and the former can close the gap on their fiercest rivals to just four points should they win their game in hand against relegation strugglers Hull City in midweek.